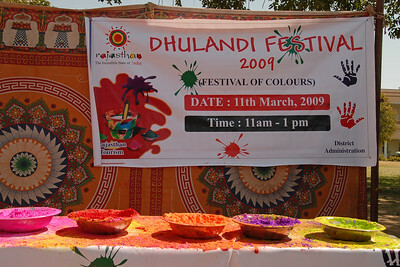 This year Anu & I were in Jaipur (Hindi: जयपुर) on 11th March 2009 during the festival of HOLI. Here are pictures from the celebrations. 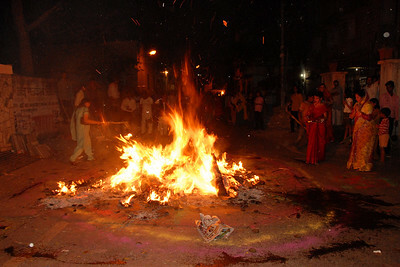 Holi – the festival of color is marked as the opening festival in Hindu calendar and it falls on the full moon day in the month of PHALGUN in the lunar calendar. 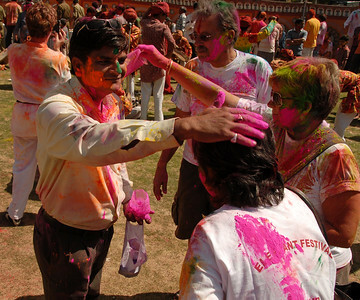 People enjoy themselves playing with several colours and celebrate the whole day. 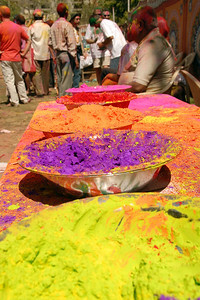 Originally Holi was regarded to be the festival to celebrate good harvests and fertility of the land. 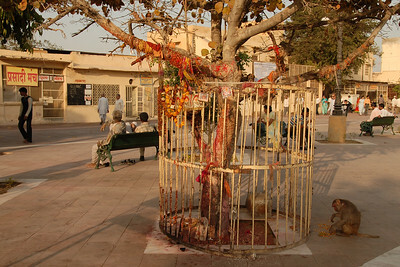 The main day, Holi, also known as Dhulheti, Dhulandi or Dhulendi, is celebrated by people throwing coloured powder and coloured water at each other either from water guns, ballons or buckets. 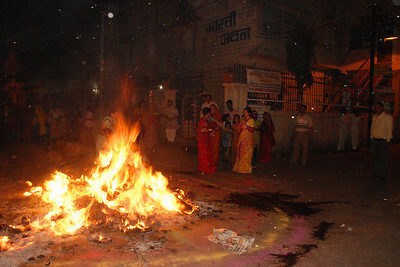 Bonfires are lit the previous evening, also known as Holika Dahan (death of Holika) or Chhoti Holi (little Holi). 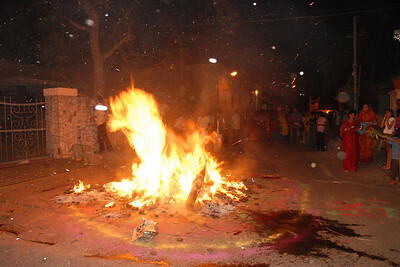 The bonfires are lit in memory of the miraculous escape that young Prahlad had when Demoness Holika, sister of Hiranyakashipu, carried him into the fire. Holika was burnt but Prahlad, a staunch devotee of Lord Vishnu, escaped without any injuries due to his unshakable devotion. This year the celebrations were a bit subdued due to water scarcity as well as the timing coinciding with the school examinations. All the same it was fun! Tourists and foreigners as well as locals enjoying themself immensely. 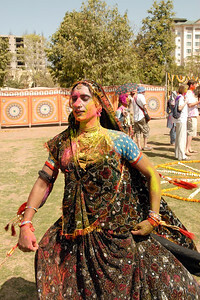 Holi the Festival of Colours being celebrated in Jaipur, the Capital city of Rajasthan, India. Due to water conservation, the celebration that normally includes lots of water, spraying, splashing & ballon throwing was celebrated only with dry colours. 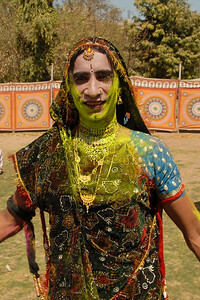 Holi the Festival of Colours being celebrated in Jaipur, the Capital city of Rajasthan, India. 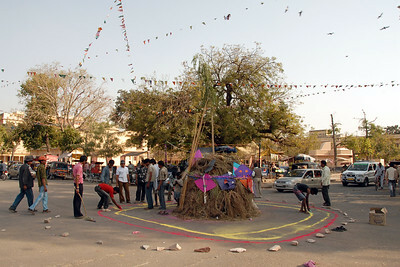 Street preparations for the Holi bonfire in the night. 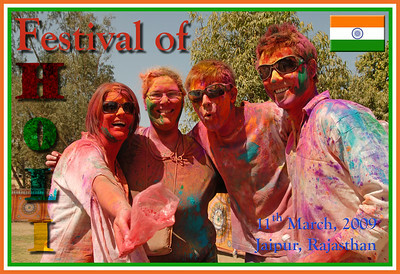 Holi the Festival of Colours being celebrated in Jaipur, the Capital city of Rajasthan, India. 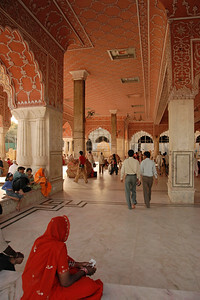 Entrance to the Shri Radhagovind Mandir in Jaipur where holi is well celebrated. 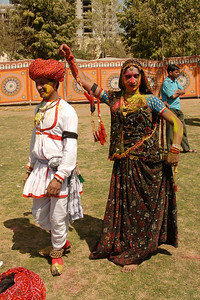 Holi the Festival of Colours being celebrated in Jaipur, the Capital city of Rajasthan, India. 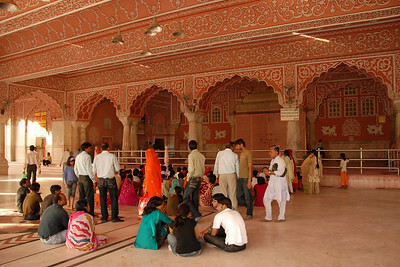 Inside the Shri Radhagovind Mandir in Jaipur where holi is well celebrated. Holi the Festival of Colours being celebrated in Jaipur, the Capital city of Rajasthan, India. 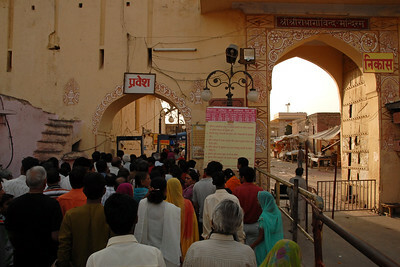 Crowds wait for the temple doors to open. 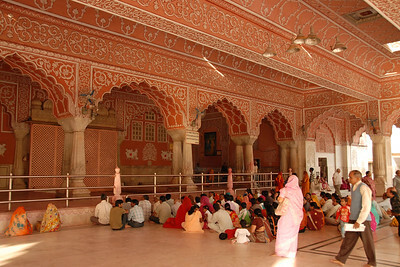 Inside the Shri Radhagovind Mandir in Jaipur where holi is well celebrated. 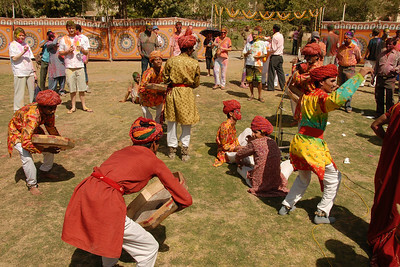 Holi the Festival of Colours being celebrated in Jaipur, the Capital city of Rajasthan, India. 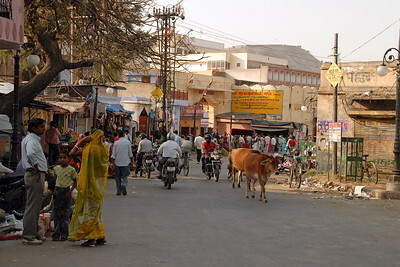 Shops line the entrance. 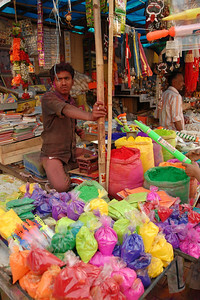 Colours being sold at the Shri Radhagovind Mandir in Jaipur where holi is well celebrated. 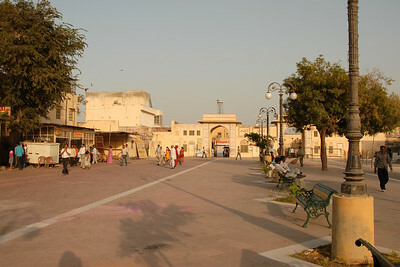 Holi the Festival of Colours being celebrated in Jaipur, the Capital city of Rajasthan, India. 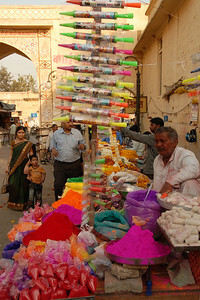 Colours being sold at the Shri Radhagovind Mandir in Jaipur where holi is well celebrated. 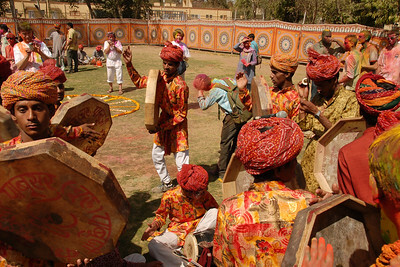 Holi the Festival of Colours being celebrated in Jaipur, the Capital city of Rajasthan, India. 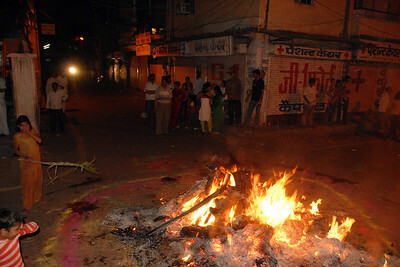 Bonfire lit on the night before the Holi festival of colours. 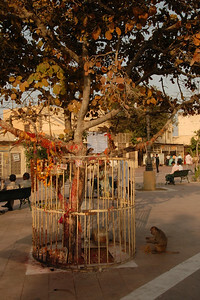 Women from the area come and pray and make offerings into the fire. Its custom to bring stalks of wheat, barley & other grains which are lightly roasted and then taken as prasad for a prosperous year ahead. 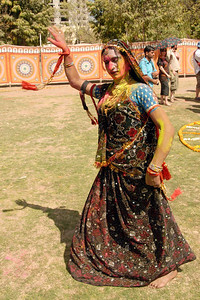 Holi the Festival of Colours being celebrated in Jaipur, the Capital city of Rajasthan, India. My Aunt Durgesh Aunty at the bonfire which is lit on the night before the Holi festival of colours. Women from the area come and pray and make offerings into the fire. Its custom to bring stalks of wheat, barley & other grains which are lightly roasted and then taken as prasad for a prosperous year ahead. 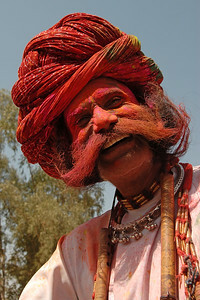 Holi the Festival of Colours being celebrated in Jaipur, the Capital city of Rajasthan, India. 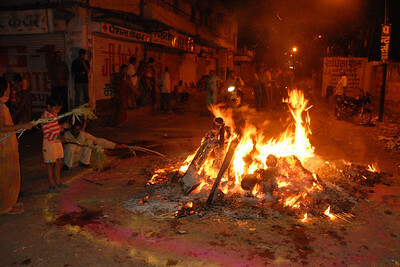 Bonfire lit on the night before the Holi festival of colours. 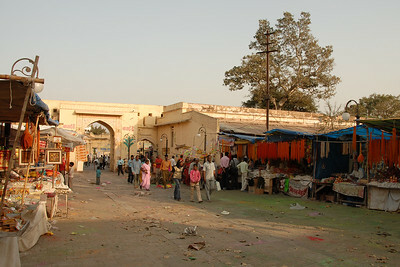 Holi the Festival of Colours being celebrated in Jaipur, the Capital city of Rajasthan, India. 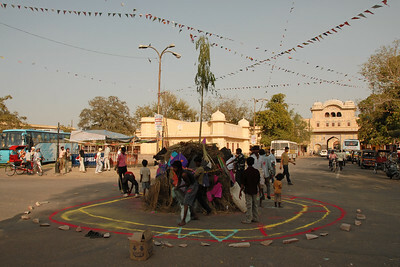 Holi the Festival of Colours being celebrated in Dhulandi Festival 2009 at Khasa Kothi, Jaipur, the Capital city of Rajasthan, India. People greet each other and apply colours to each other. 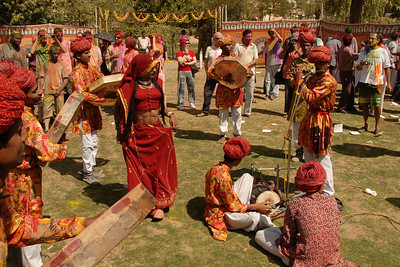 Holi the Festival of Colours being celebrated in Khasa Kothi, Jaipur, the Capital city of Rajasthan, India. Tourists and foreigners enjoying themself. 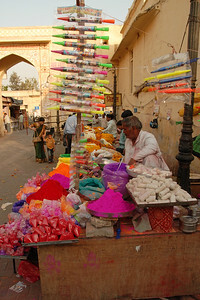 Holi the Festival of Colours being celebrated in Jaipur, the Capital city of Rajasthan, India. 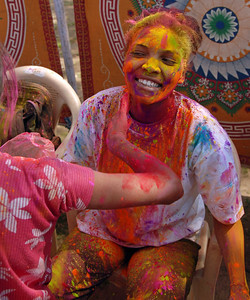 People of all countries enjoying Holi and applying colour on each other. Tourists and foreigners enjoying themself along with locals. Holi the Festival of Colours being celebrated in Jaipur, the Capital city of Rajasthan, India. Photographers capturing the moments. Holi the Festival of Colours being celebrated in Jaipur, the Capital city of Rajasthan, India. Lots of singing and dancing and making merry. 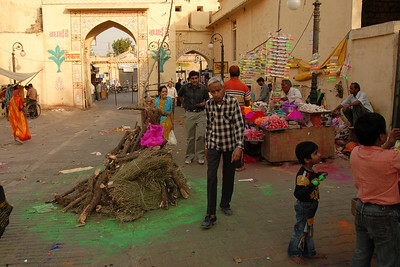 Holi the Festival of Colours being celebrated in Jaipur, the Capital city of Rajasthan, India.